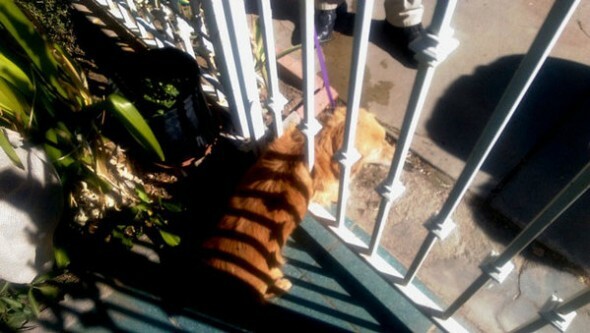 In Yuma, Ariz., a dog tried to get through an iron fence but got stuck in the process. Local firefighters were called to the scene and thanks to their hydraulic tool, the “Jaws of Life,” the dog was safely pulled from the metal bars. On February 9, 2015, Fire Department spokesman Mike Erfert said the rescue unit was called to the 2200 block of Walnut Avenue in Yuma, after a person spotted the dog and realized the pet needed professional help to get out of the fence. The unidentified and unregistered dog was not harmed while trapped in between the fence’s bars, nor was he injured while firefighters worked on widening the fence to free him. Once free, the dog was transported to animal control. Hero rescuers hoped the dog was able to find a good home.